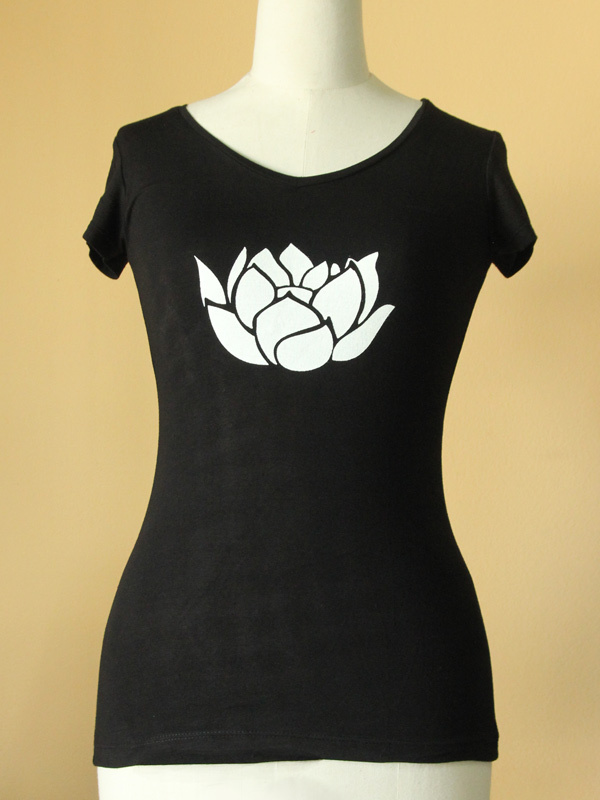 Cotton-rayon blend fabric with silk screen lotus print. ABSOLUTELY LOVE THIS TOP!!! SO COMFY, THE COLOR IS MY FAVORITE AND I ALWAYS LOVE ANYTHING ASIAN INSPIRED THAT I CAN FIND!! I LOVE THE LOTUS FLOWER DESIGN AS WELL.